When I was 18 I was told that when you go to college you should start birth control pills just in case something bad ever happens and so a baby doesn't ruin your future. I thought it was normal to be moody on birth control and to also gain weight. When I involuntarily had to stop taking the pill for a summer after my prescription ran out, I realized that wasn't the case. At that point in time I was still very unaware of charting or any kind of natural form of birth control. After 8 months of not having a period my doctor said that the only way to fix this issue was to go back on the pill. Fast forward 3 years and was engaged and started medical school, still taking my birth control pill religiously. A club at my school offered a presentation on natural family planning during our lunch period and was giving free food to those who attended. Of course my friends and I are always up for free food but what I wasn't prepared for was the complete change in mindset I would leave with that day. After the presentation I was still thirsty for more knowledge on the subject and for some journal articles to back up what they were saying. I searched online praying that I could find some information that would back up their claims that I wanted desperately to be true. It turns out there is a lot of research out there not only for the NFP method itself but also many more methods that are completely hormone free and required nothing more than a thermometer and some way to chart. I was only a month away from my wedding when my husband and I decided to give charting a try. I wish I would have known about this app and community for years. I stopped taking my daily birth control pill and finally felt in control of my emotions again. I felt as though there was a weight that had been taken off my shoulders. My husband also would agree this has done wonders for our relationship as I now do not have major mood swings and we also have a more open line of communication. 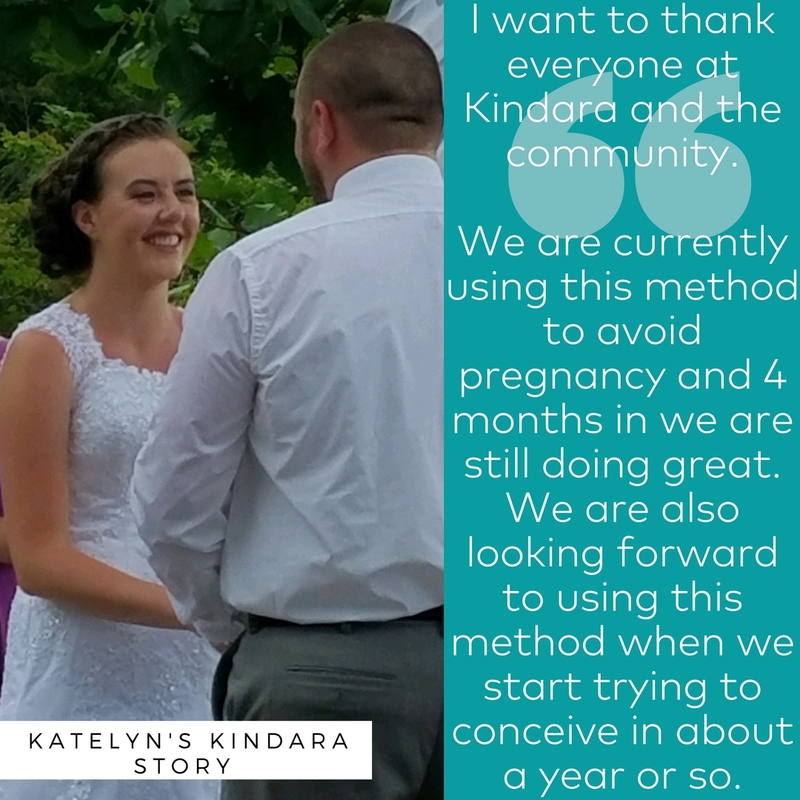 I want to thank everyone at Kindara and the community who is willing to answer questions and support all of us who went in not knowing a thing about charting. We are currently using this method to avoid pregnancy and 4 months in we are still doing great. We are also looking forward to using this method when we start trying to conceive in about a year or so.